What is it? It is rats? What is the invasion of rats in the kitchen? Oh My God! How to get rid of them? They are all around the shelves and running around and having fun. Let's urgently take action and banish all the rats from the kitchen. We have with gun nuts, gas, poison and just a desire to beat them. Let's go through all 30 levels of the game and not leave chance for the rats to stay in our kitchen. 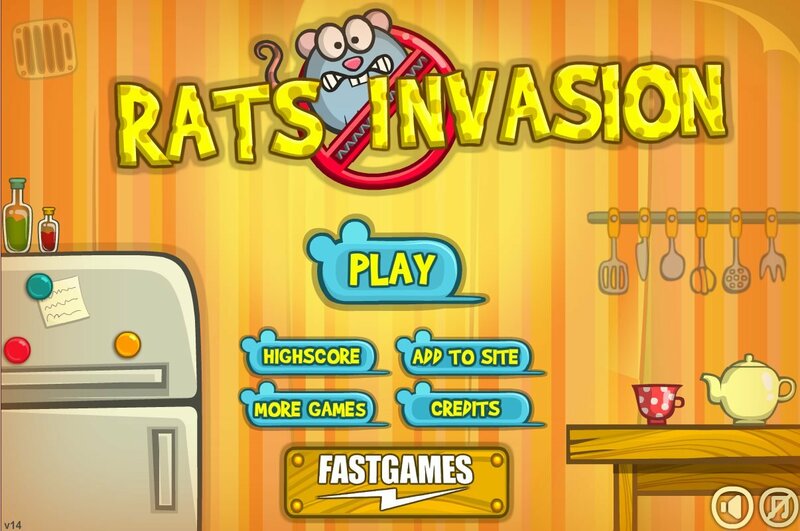 How to play: in this game you will chase the rats from your kitchen. Use all possible things so that there remained not one rat. If you don't know how to pass the level, then watch the video. We created it specially for you so you did not lose hope to pass all game levels successfully.